Please send me more information on Colleton River at, Bluffton Thank you. There are a total of 705 homesites. The stately, custom-designed homes of Colleton River take advantage of the towering oaks and beautiful tree canopy found throughout the plantation, as well as views of the Colleton and Chechesee Rivers, tidal creeks, lakes, emerald green fairways and Port Royal Sound. Mother Nature did some of her finest work in the Colleton River area and property owners here take total advantage of the Lowcountry landscape. 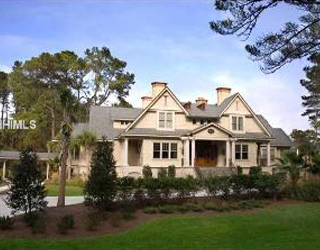 Homes must adhere to Colleton’s architectural design and construction guidelines. There are no resort operations or traditional vacation rentals available in Colleton River. There is an annual Property Owner’s Association fee and a Transfer Fee is applied upon sales of homes. An Equity Club membership is required from each household. Two stunning clubhouses overlook impressive views of the main golf courses of this exclusive community. The extensively remodeled original Colleton River Clubhouse is 30,000 sq. ft., and overlooks the last four holes of the par-72, 7,100 yard, Jack Nicklaus Signature Course. This is the rare course that rewards players of all levels who have a genuine appreciation for the purity of the game. This Colleton course is considered one of Nicklaus’s crowning achievements and encompasses the best and most beautiful of everything in the Lowcountry. The building itself was recently named the “Best Private Clubhouse in America” by Crittenden Golf, Inc. The second clubhouse, a 20,000-square-foot antebellum-style mansion, overlooks both the Port Royal Sound and the back nine holes of the Pete Dye course. The only one of its kind in the southeast United States and distinctly different from the Jack Nicklaus course, the Colleton River Pete Dye Course is a stunning links-type course that has unobstructed views of Port Royal Sound and the Atlantic Ocean from 11 of its 18 holes. Stretching over 7,300 yards, it plays at Par 72 through dense Lowcountry forest as well as open scenic wetlands. Common to many of Dye's designs, it features small, undulating greens that are well protected by pot bunkers. The Clubhouse resembles an old-style, deep-south plantation home with an exterior combination of handmade brick and hardwood, and is graced with a copper-paneled roof. A massive 5,000-square-foot wraparound porch surrounds the clubhouse with a 360° view of the community’s gorgeous vistas. The Borland Par 3 Course at Colleton River is a hidden gem—every bit as lush as the Nicklaus Course and as precise as the Dye Course. Similar to Augusta National's Par 3, the course was designed by Bruce Borland, a golf course architect for Nicklaus Design, who died tragically in 1999 in an airplane accident that also took the life of PGA Hall of Famer Payne Stewart. This course was named in his honor. The Fitness Center provides more membership amenities including a first-class cardio theatre, weight training and exercise machines, and group exercise space for specialty classes. Outside activities include miles of walking/jogging/biking trails weaving throughout the community, and the deep-water docks at the community facility, where the Atlantic and the Intracoastal Waterway are both only a mile down Colleton River. Stan Smith Tennis at Colleton River Plantation includes year-round programs, clinics, and socials. Five Har-Tru courts as well as a pro shop and a pavilion make up the facility, where separately fenced, private courts connect through walkways with one court that even has stadium seating. Colleton River’s numerous amenities include walking and biking trails, community pool and dock, and a children’s play area. There is fine dining at both clubhouses and numerous opportunities to participate in special community-wide functions. In additional, several social clubs and numerous charitable opportunities are available to residents. Local developer John Reed laid plans for Colleton River in 1989 and gained approval in early 1990 for the community. Reed’s vision was a Colleton River community where members would have access to all the excitement, cultural and culinary amenities that a world-class oceanfront beach resort area can offer but with the sense of community, security and serenity that only a private enclave can enjoy. How many active real estate properties are currently listed for sale in Colleton River , Bluffton? Are there any foreclosures currently for sale in Colleton River , Bluffton? No, currently there are no active listings in Colleton River with a foreclosure status. Are there any short sales currently for sale in Colleton River, Bluffton? No, currently there are no active listings in Colleton River with a short sales status. What is the price range and average price for residential homes in Colleton River ? The price range of the 34 listed homes for sale in Colleton River is between 475K and 3,295K. The average price is 1,194K. 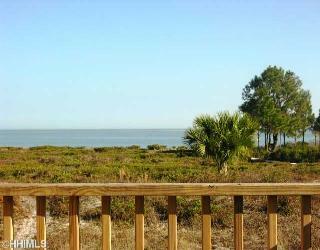 Click here to view all residential home listings in Colleton River. What is the price range and average price for residential land and lots in Colleton River ? The price range of the 28 listed land and lots for sale in Colleton River is between 0K and 349K. The average price is 60K. Click here to view all residential land and lots listings in Colleton River. What amenities a buyer should expect to find in Colleton River ? 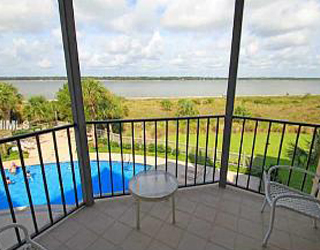 What kind of views a buyer should expect to find in Colleton River ? Colleton River Plantation is an exclusive 1,500-acre golfing community located on the mainland just before the bridge to Hilton Head Island. The property borders both the Colleton River and a nature preserve. Offering additional protection to this rare park-like setting is a 1,700 acre nature preserve. The entrance winds 2.5 miles through the preserve setting the stage for the ultimate in privacy. Colleton River is the only plantation in the area with two clubhouses – the Dye Clubhouse and the Nicklaus Clubhouse - overlooking two nationally ranked, championship golf courses both of which were recognized in Golf Magazine’s “Top 100.” Colleton River Plantation’s convenient location off Hwy. 278 make nearby Hilton Head Island, Olde Town Bluffton, Beaufort, Savannah and Charleston easy drives. A wide array of shopping, restaurants, schools, churches, medical facilities and recreational activities are accessed outside the plantation gates within minutes.